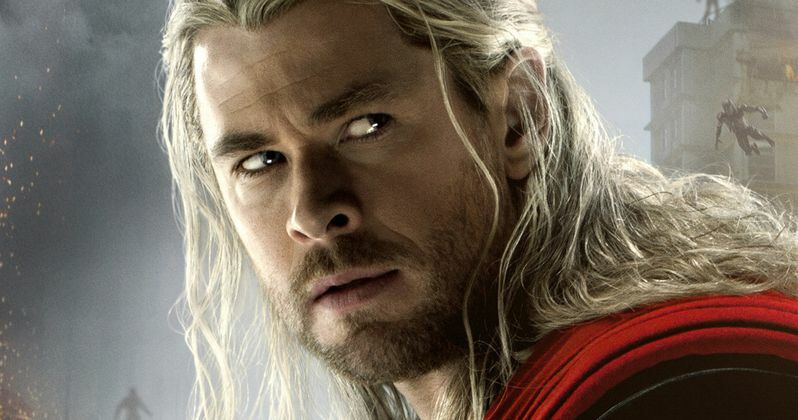 Will Thor 3 Kill Off a Another Major Marvel Character? As we get closer and closer to a summer production start on Thor: Ragnarok, rumors have been flying about what may happen in this highly-anticipated sequel. Last month, an unconfirmed report revealed that Oscar-winning actress Cate Blanchett has signed on to play the main villain, Hela, who will shake things up for the mighty Thor (Chris Hemsworth) in Asgard. Today we have yet another unconfirmed report from Latino Review, which claims that a beloved character may be killed off in this sequel. There will be potential SPOILERS below, so read on at your own risk. Last month's report claimed that Hela, who, in the Marvel Comics, is the ruler of Hel and the realm of Niflheim, will be portrayed very closely to the comics, with Hela donning a cloak and wielding power over the undead in all Nine Realms. The report also claimed that Hela will join forces with Loki, but while their motives are unknown, some interesting details were revealed. In Thor: Ragnarok, Thor eventually find out that Loki and Hela have teamed up, but when he confronts her, she actually destroys his mighty hammer Mjolnir, and banishes him from Asgard. This is said to be the incident that causes Thor to go on this "cosmic road trip" with Hulk that we've reported on in the past. This new report claims that, while Hela is destroying Thor's hammer, she also kills Heimdall (Idris Elba), who has become a fan favorite in the Thor movies. However, Heimdall will reportedly make a valiant return in the film's epic climax, where he shows up along with the "souls of the righteous fallen," along with the good Valkyries of Valhalla, to battle Hela. Of course, these details haven't been confirmed by Marvel as of yet, and even if it is true, it isn't known if he could also make an appearance as one of these righteous souls in future movies like Avengers: Infinity War Part I and Avengers: Infinity War - Part II. Idris Elba has previously portrayed Heimdall in 2011's Thor and 2013's Thor: The Dark World, and he also had a brief appearance in last year's Avengers: Age of Ultron. It isn't known how many movies his deal with Marvel was for, but it wouldn't be surprising if Thor: Ragnarok is his last MCU movie, especially considering that he has reportedly signed on to play Roland Deschain in Sony's The Dark Tower, which will start production later this year. Chris Hemsworth (Thor), Tom Hiddleston (Loki) and Mark Ruffalo (Hulk) are set to star in Thor: Ragnarok, which begins production in Australia this summer, under the direction of Taika Waititi. Would you be disappointed if Heimdall actually did die in Thor: Ragnarok? Chime in with your thoughts, and stay tuned for more updates.